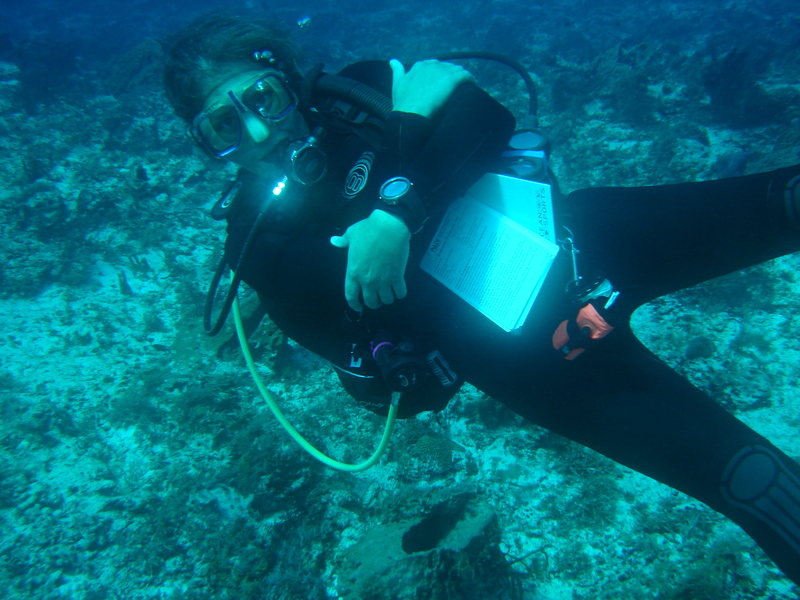 Kari is a PADI Master Instructor, and has been teaching since 2006. She became a certified diver in 2001 and has never looked back. Kari is a self-proclaimed “fish nerd” and is pretty great at answering the “what is that orange fish?” question. Her passion is the small creatures and she loves to find and share these with you! In addition to the PADI courses from Open Water through Assistant Instructor, Kari is also qualified to teach the following specialty courses: Altitude Diver, AWARE Coral Reef Conservation, AWARE Fish ID, AWARE Shark Conservation, Deep Diver, Digital Underwater Photographer, Drift Diver, Drysuit Diver, Emergency Oxygen Provider, Enriched Air Diver, Night Diver, Peak Performance Buoyancy, Underwater Naturalist, Underwater Navigator, and Wreck Diver. In 2006, she and Matthew started Atkins Scuba, and under that umbrella she has organized several dive trips to Cozumel, Mexico, and has many happy clients who have participated in those adventures. Hey Kari, a couple of years ago you taught a night dive course to me and my husband Lawrie at the Blue Angel in Cozumel. Check out the letters to the editor in the next issue of Sport Diver. Are you and Matt still with the Blue Angel?